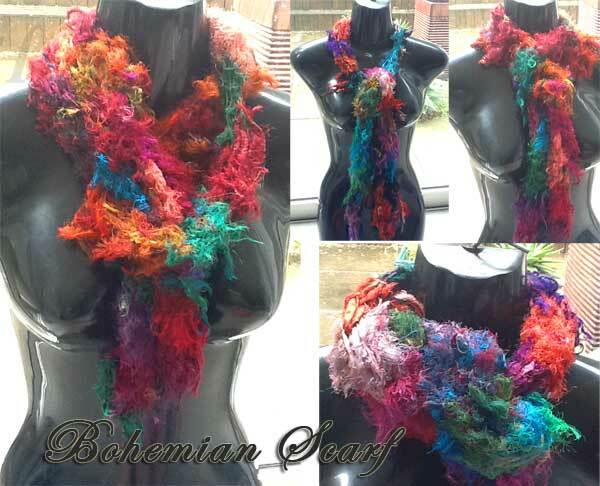 If you are into handmade crafts, this Bohemian Scarf is just the ticket. It is easy to make and absolutely, eye-catchingly fun to wear. 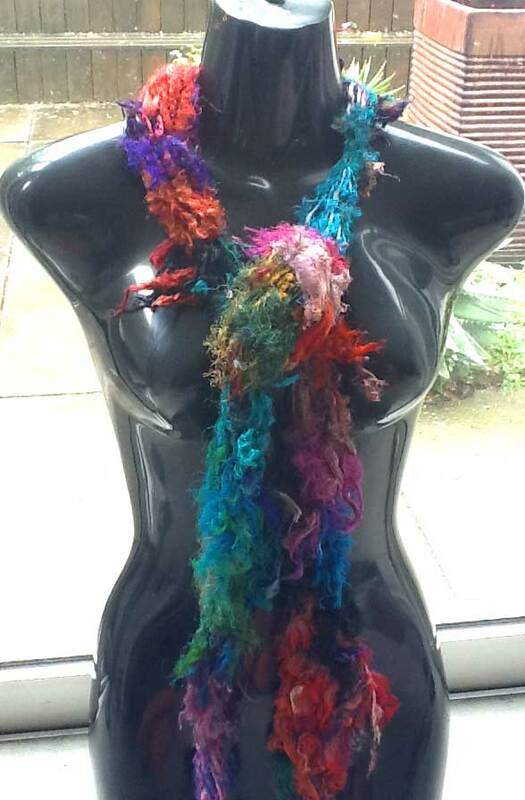 This handmade scarf is also soft and very versatile. This first pictures shows it being worn doubled over: just fold the length in half and look the 2 ends into the "fold". This next picture still shows it being worn "doubled over" - and as you can see, it can be worn extra snug for those extra chilly days, or looser as per the above photo. And for truly freezing days, you can just tug in the ends for a real close, deliciously warm neck. It is incredible how much warmth can be preserved by just protecting the neck. This next pic shows the scarf being worn in one of its most basic form - a quick knot and allowing it to drape long and free. 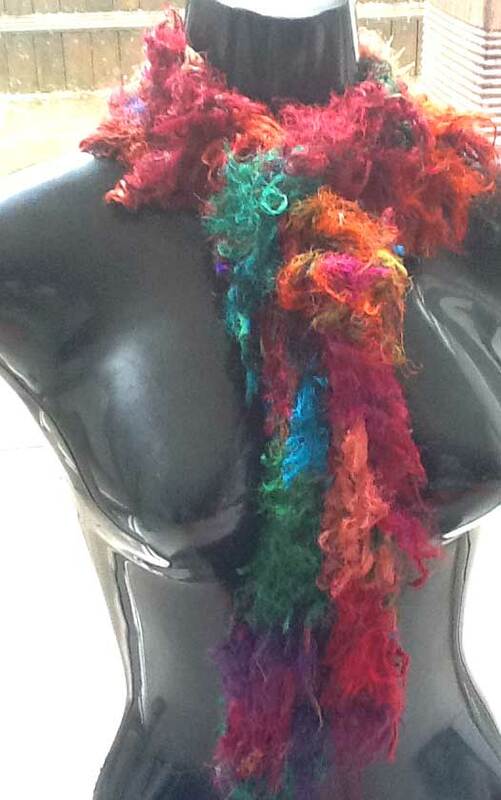 The many delicious ways of throwing on this handy scarf. You can be guaranteed of warmth, color, and pure exuberance! 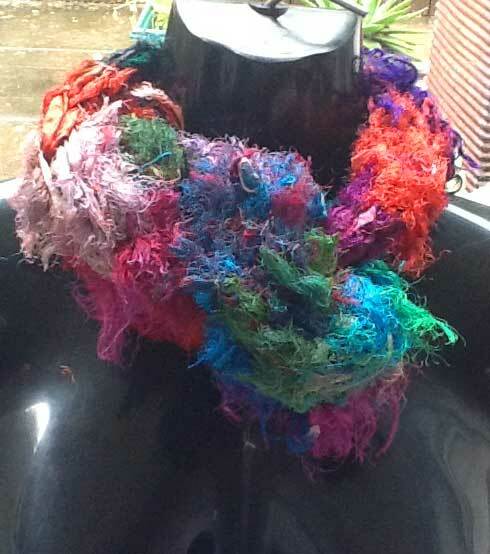 The Sari Ribbon yarn have been gathered and wound into usable balls of "yarn" by the native women in Nepal. They are from a community of women within a co-op that helps them earn income and independence. 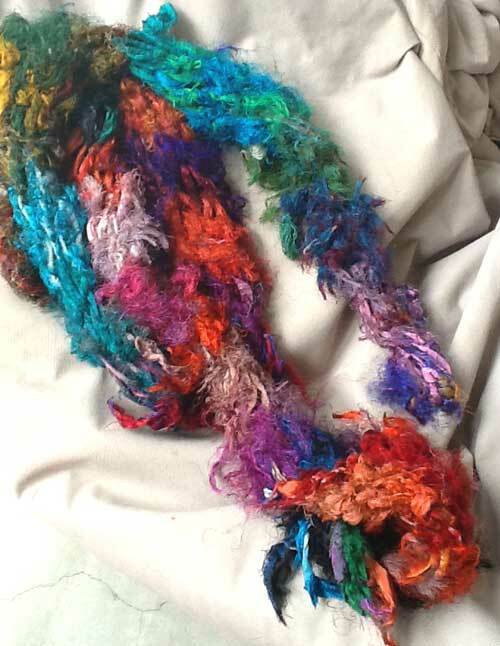 The Silk Sari Ribbon Yarn is ideal for all manner of crafts - from using them in mix media jewelry, to knitting, artwork, paintings, and garments. 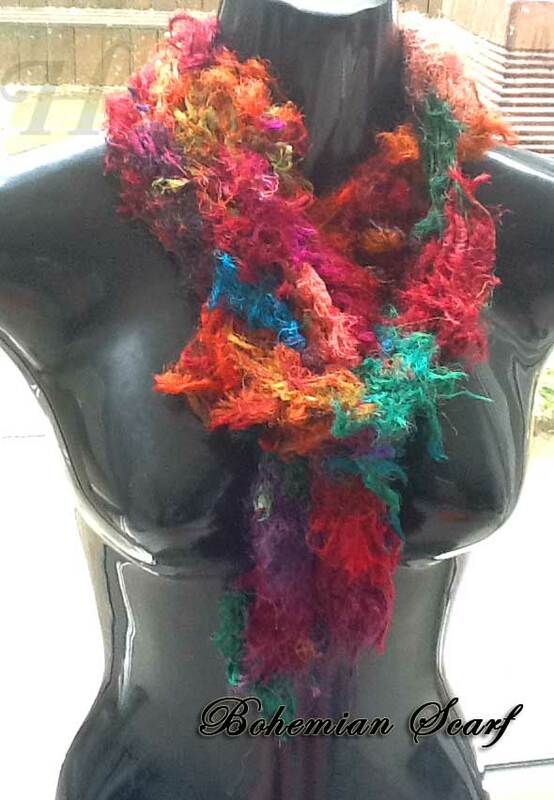 They come in bright delicious colors and are truly a yarn you want to have in your arsenal of goodies! The technique used is basic Finger Knitting. Just make the length long enough to enable doubling over. 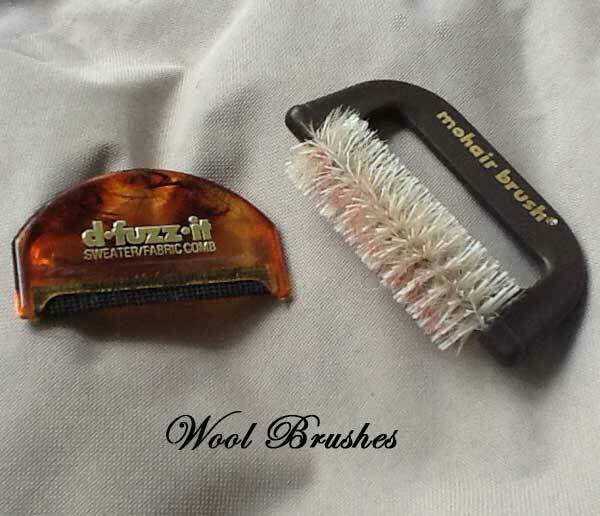 After washing, use a "Wool Brush" to lightly brush the item when dry. This will revitalize the piece and bring back fluffiness.